In 2017 in America, slashing regulation has become more victory chant than policy, and broadband companies are using this opportunity to put open internet protections back on the chopping block. For background: the Federal Communications Commission, under guidance by the D.C. Circuit, reclassified broadband internet access as a Title II telecommunications service in the 2015 Open Internet Order. This means that, for regulatory purposes, broadband providers like Verizon and Comcast are treated as common carriers and required to ensure that all content passing through the internet pipes is treated equitably. Using Title II, the FCC created enforceable, bright-line rules that prevent broadband companies from blocking, throttling, or prioritizing some content over others. Consumers overwhelmingly support net neutrality. 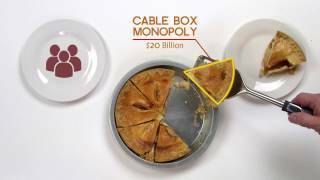 Since broadband companies are not completely tone-deaf, they’ve purported to support open internet principles in theory while pouring money into reversing the Title II classification. They continue to assert that Title II is so heavy-handed that it will kill innovation and force broadband companies to stop investing in infrastructure. Some elected officials deride Title II as overly-burdensome “depression-era” regulation. The criticisms are overwrought and ignore that, under current law, there cannot be bright-line net neutrality rules without Title II. The D.C. Circuit was clear - the 2015 Open Internet Order, and its legal underpinnings, are currently the strongest legal footing to support net neutrality. Tariffing obligations, which require providers to notify the FCC about the terms and conditions, including price changes, of any interstate services offered. Enforcement powers that allow the FCC to regulate rates for services and monitor the corporate structure of companies in order to prevent concentration of power in the industry. Information collection and reporting requirements that allow the FCC to monitor competition. This deprives the FCC of the facts it would need if it were to pursue rate regulation. Facilities access rules requiring providers to lease access to their facilities and infrastructure to competitors at rates supervised, and potentially dictated, by the FCC. Critics claiming that Title II is onerous and outdated often cite the parts of the statute the FCC specifically declined to apply to them. The criticism seems to undermine the fundamental aims of the Open Internet Order, rather than offer a substantive explanation of any outsized burden actually imposed on regulated companies. Regulations that are overly-burdensome impose costs outside of the incentive structure intended by the rules. If content discrimination is impeded under Title II, that is not a regulatory burden - it is the purpose of the regulation. For example, critics claim that companies will become too hesitant to innovate. Some went as far as predicting “Mother May I?” panels, where companies would be forced to ask for permission from the FCC to introduce new products. After the rules were passed, the reality is that innovation continued - broadband speeds continued to increase and mobile companies, like AT&T and T-Mobile, developed alternative pricing strategies. If companies are prevented from deploying business models that discriminate against content, that is the purpose of the regulation. Critics also claim Title II might stifle investment in broadband infrastructure. The data simply does not support Big Cable and ISP’s complaints that investment is decreasing. Further, regulation is only one of several inputs that drive a company’s decision to invest, especially considering the overall market for broadband is growing. Broadband providers themselves have disclosed to their investors that the rules have not slowed their plans for continued investment. These companies never run out of new complaints and throw whatever they can at the wall to see what sticks. 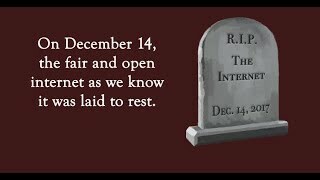 The reality remains, however, that Open Internet Order is necessary for net neutrality. The longer it is on the books, the more obvious it will become that net neutrality is a necessity, not a hinderance, to the growth and prosperity of the internet ecosystem. Despite the FCC’s extensive forbearance, it is clear that the provisions broadband companies object to most are the ones the FCC needed to keep: the ones that prevent the giant corporations like Verizon and Comcast that provide the onramp to the information superhighway from picking and choosing who gets to play where. If broadband providers mean what they say and do not intend to engage in blocking, throttling, or paid-prioritization, their claims that the Open Internet rules are overburdensome are even more unfounded. They prefer that we trust their claims to support Open Internet principles and let them regulate themselves. Using history as a guide, we shouldn’t.